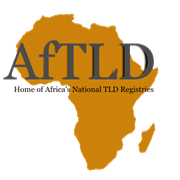 Africa Top Level Domains Organization (AFTLD) and the Senegal Network Information Centre (NIC.SN) will be facilitating an Initial Registry Operators Course in the Gambia as from 4th to 8th February 2019 at the Paradise Suites Hotel. The workshop has been organized by the Internet Society Gambia Chapter and the Information Technology Association of the Gambia on behalf of the .GM delegation committee with the support of the Ministry of Information and Communications, The Public Utilities and Regulatory Authority, University of the Gambia and Private Sector stakeholders. and education networks, internet service providers, the media and civil society. More than 30 participants from the Gambia and other African Countries are expected to participate in the workshop. recognized ITAG as the sole ICT professional organization in the Gambia. ITAG’s work focuses primarily on advocacy, capacity building, through its various seminars, workshops and conferences covering various thematic themes and its collaborations with the Ministry of Information Communication and Infrastructure and other partners towards having a vibrant and productive ICT sector based on its vision, mission and core values. The Internet Society Gambia Chapter (ISOC Gambia) is a civil society organisation that is providing leadership in Internet related standards, education and policy. It is dedicated to ensuring the open development, evolution and use of the Internet for the benefit of people throughout The Gambia. The Internet Society supports and promotes the development of the Internet as a national and global technical infrastructure, a resource to enrich people’s lives, and a force for good in society. 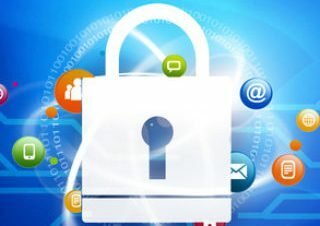 Chapter work aligns with its goals for the Internet to be open, nationally and globally-connected, secure, and trustworthy. The chapter works closely with Ministry of Information and communication Infrastructure MOICI, Public Utilities and Regulatory Authority – PURA, Academic, Media fraternity, Information Technology Association of the Gambia ITAG among other interest groups and individual users of the Internet of The Gambia.